What happens after a truck accident is often tragic. Should you come out alive, there is the tortuous and painful process of recuperation to deal with. Also, you have to get accustomed to certain changes in your body. Many suffer psychological damage with one form of impairment or another. If you have ever gone through the horrors of a truck accident, speaking to a truck accident attorney should be your next call after seeking medical help. The damage done by a truck accident in Inglewood is rather high, and you should be adequately compensated considering the amount of pain and mental torture you are struggling with. Hiring a topnotch truck accident attorney Inglewood, CA is the right to do. Only a handful of law firms can boast of the quality of service which Rawa Law Group provides. In Inglewood, we can help you get justice through the court. Besides assembling some of the best personal injury attorneys in the country, our familiarity with the legal industry gives us an edge over others as regards your situation. 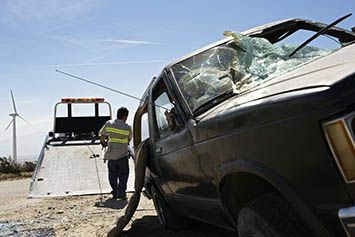 Rawa Law Group has continually won cases bothering on truck accidents for different clients, and this is mostly due to our truck accident attorneys in Inglewood doing their homework with fervor. With Rawa Law Group, you are not obligated to make any payment until you see results. Rawa Law Group can provide you the legal representation you need with the help of a truck accident attorney in Inglewood. All you need to do is ask. To build your case after a truck accident, a free interactive session with a seasoned attorney is organized. Contact us using the details below to get started on your case.